The first time I went apple picking was at a tiny orchard outside Matsumoto, a city in Nagano prefecture in the northeastern part of Japan. 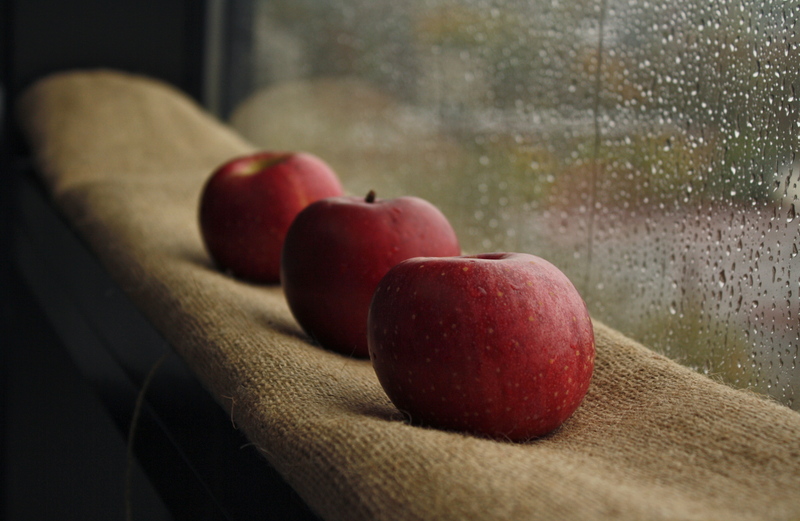 I distinctly remember how the Japanese farmer had carefully laid aluminum foil underneath his well-trimmed apple trees so that the sunlight bounced onto the underside of the ripening apples, giving them a uniformly red hue. In a country where grocery stores wrap each apple in a soft Styrofoam net, and customers buy a single apple for the price of a full meal at a decent restaurant, I suppose it makes sense that farmers would be concerned that each apple’s underside had been properly warmed by the sun’s rays. I don’t know if it’s due to the experience of growing up near farms as a kid or just my incessant desire for the freshest produce, but I plan weekend trips to nearby Virginia farms at the start of every growing season: strawberries in early spring, cherries in late spring-early summer, and peaches and blueberries in the summer. 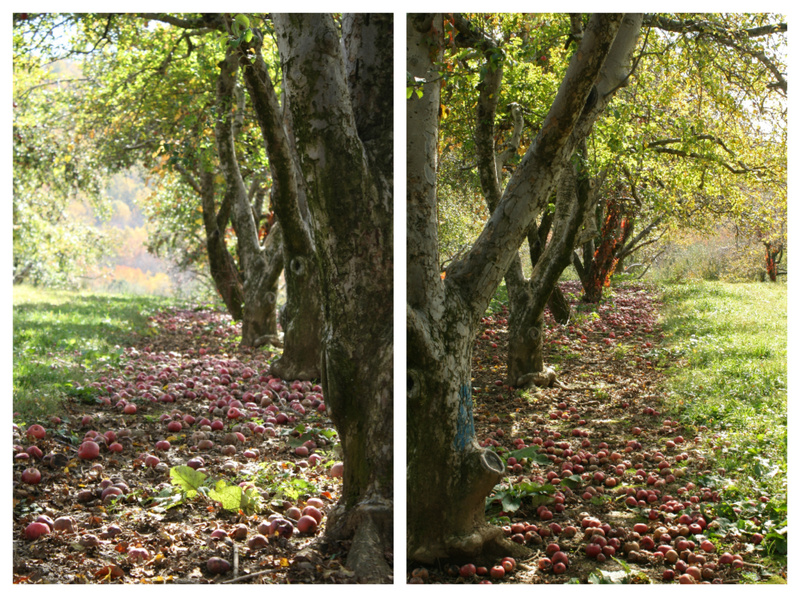 Each season offers incredible fruit, but with the crisp air and brilliantly colored foliage in the low mountains surrounding the orchards, apple season is by far my favorite. A couple weeks ago I visited Stribling Orchard in Markham, VA where rows of large apple trees sprawl across 30 acres of gently sloping hills. 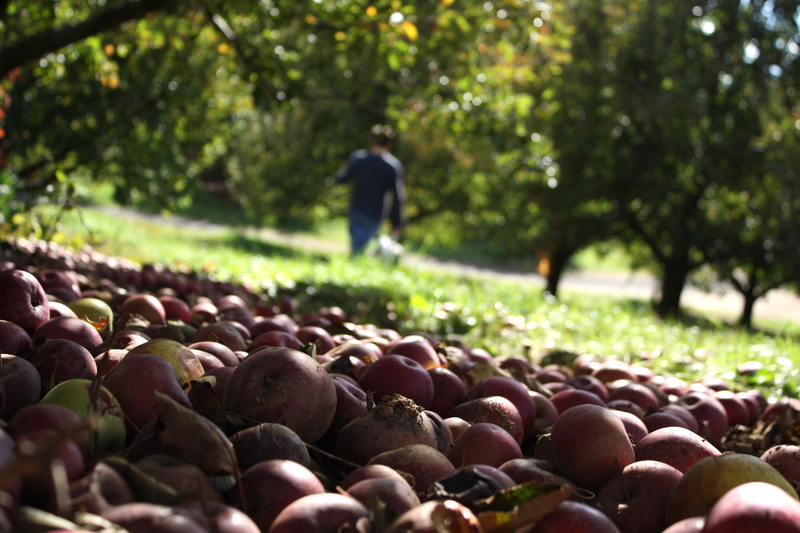 On the day that I visited, the ground was already covered with ripened fruit that had fallen from the trees. The smell of the fermenting apples immediately—and perhaps somewhat strangely—made me wish I’d brought along a bottle of wine. The beautiful old trees filtered the soft afternoon rays giving the orchard a romantic hazy look. It’s the kind of spot that, were you to bring a blanket, picnic, and sweetheart, you could easily spend a lazy afternoon misbehaving like a couple of teenagers in the grass underneath the trees. Regardless of what you’re picking, the one constant truth is that you will undoubtedly end up with far more than you know what to do with. Personally I don’t love cooked apples. I’ll do an occasional apple crumble and I love a good French apple tart, but in general I like my apples simple—cored, sliced, and with the peels still on. However, last year Food and Wine magazine had the most amazing recipe for apple cider cream pie. I don’t know what possessed a non-baker like me to make it the first time, but the response from family and friends was enthusiastic enough to prompt me to make it several times since. No surprise, I’ve tweaked the recipe a touch. I’ve switched out the regular piecrust for a graham cracker crust—a simpler and, in my humble opinion, far tastier option. 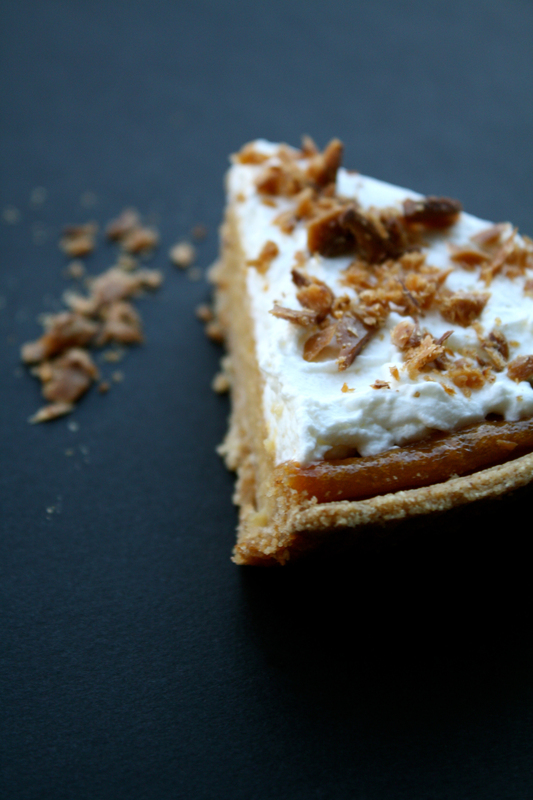 I also top the pie with crunchy bits of toffee instead of baked apple slices. The reduction of the apple cider and addition of sour cream to the custard filling gives the pie a beautiful balance that’s not overly sweet. This pie definitely deserves a spot on the Thanksgiving dinner menu. Or better yet… save it until everyone has gone home, grab your sweetheart and a bottle of wine, and have your own little after hours picnic right there on the living room floor. Thank you Jason! You are welcome to come over anytime, for dinner or dessert. this recipe came at just the right time.. I was deemed to bring apple pie to our thanksgiving get together and thought it a bit boring.. so thanks for this great idea. 🙂 Happy Turkey day! And a happy Turkey day to you! You’re absolutely right, it’s a nice twist on a plain old apple pie. I think you’re gonna love it. Just taste your cider first, if it’s on the sweeter side cut down on the sugar a touch.